Use the form below to contact tour Coast & Hills directly. 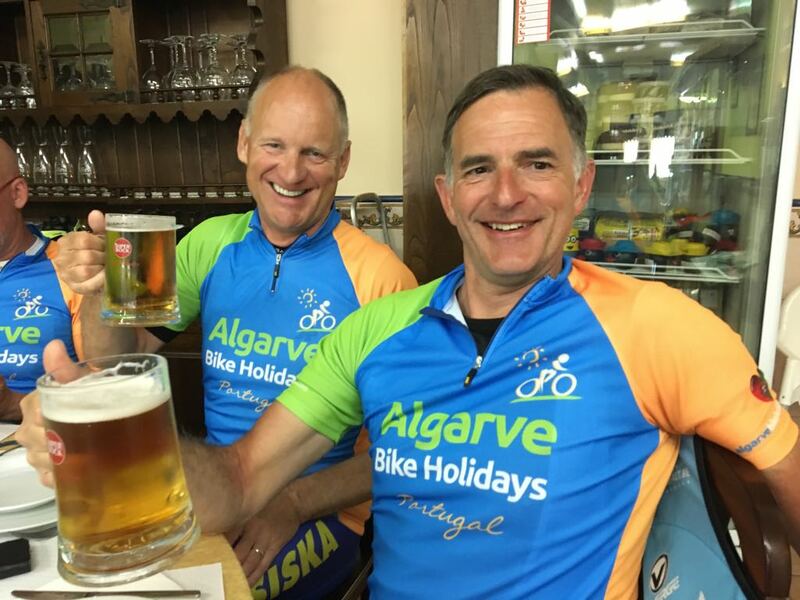 This self-guided road bike holiday offers you the best that the Algarve has to offer; you will stay in quality accommodation along the superb Algarve coastline, whilst spending your days cycling up into the hills along quiet country lanes with spectacular scenery and fabulous cycling terrain. It is also suitable for non-cycling partners as they can relax on the beach as you explore the hidden gems of this beautiful region! Heading towards the sparkling waters of the Beliche reservoir, it won’t be long before you are cycling through typical Algarve ‘lost villages’, amidst the stunning mountain scenery that forms the Serra de Tavira. From here you turn South and cycle through the river valley towards the Coast and the picturesque village of Caçela Velha, a tiny whitewashed village set on a hill overlooking the lagoon with a little church and the remains of an 18th century fort. You will certainly want to linger here to take in the view. It’s neighbour, Fabrica, is also a worthwhile diversion; sipping coffee by the water’s edge, you can take in the boats dipping in the gently ebbing water and watch locals collecting shellfish. 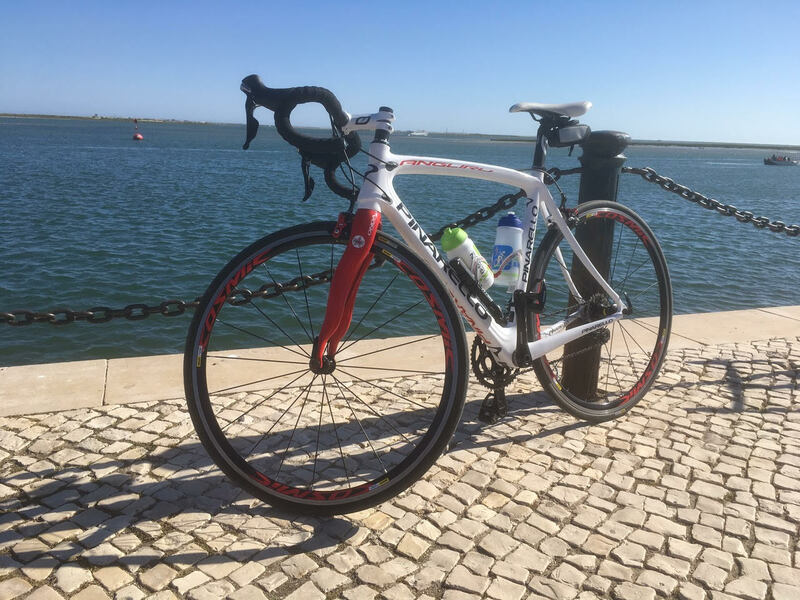 The route takes you back inland a little where you will enjoy some quiet country lanes, avoiding the busy roads that hug the coast, before turning South once more towards Tavira. Home to a castle, an old Roman bridge and a wealth of traditional architectural styles, Tavira is built either side of the River Gilão, which creates two distinct halves to the town. Several cafés and many restaurants make the town an easy place to stay and have a relaxing wander around. The hotel overlooks the river and all that the town has to offer is within easy walking distance. 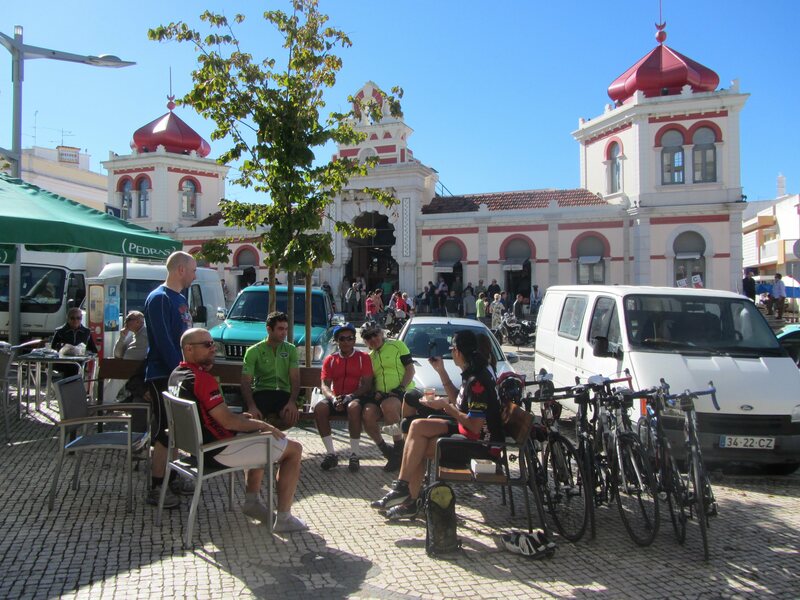 Leaving Tavira’s main square, you will follow the river North towards the Barrocal region, referred to as ‘the orchard of the Algarve’, with its many colourful spring flowers and fruit trees, and whitewashed houses, with laced chimneys. From here you will make your way to São Bras de Alportel – a typical Algarvian working town, which used to be the hub of the cork industry. 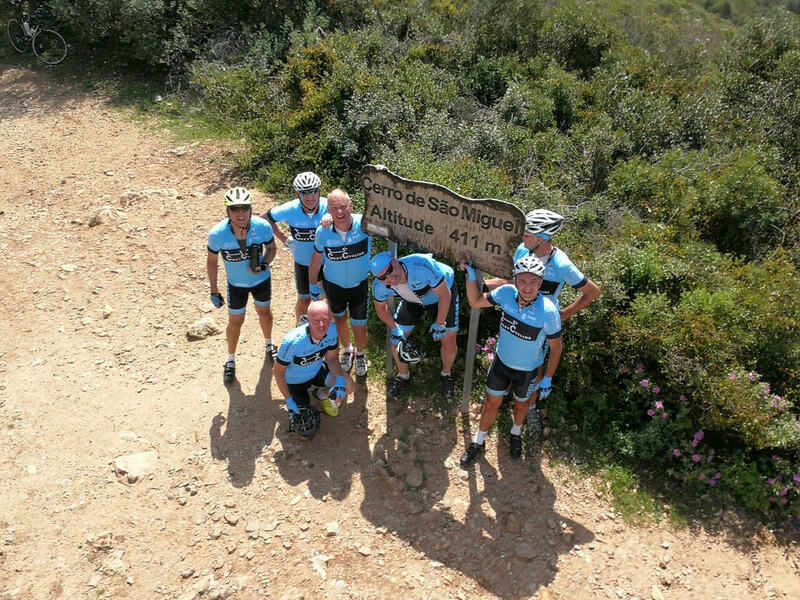 This is the start of the Caldeirão mountain range, which forms a significant border between the Algarve and the Alentejo. Passing through the quaint village of Alportel, you will enjoy a challenging ascent to Barranco de Velho, where you may feel the need for a quick break and a snack in the very traditional and long established Tia Bia restaurant. Your journey back to the coast will take you on a fabulous descent through pine forests and through more sleepy hillside villages before you reach the interesting town of Estoi, with its imposing palace, just a few minutes up from the main square; recently renovated into an upmarket hotel, the gardens are the real attraction and are perfect for stretching your legs as you stroll amongst the palm trees and fountains. Close by is a complex of significant Roman ruins, dating back to the 2nd century AD. Here you can view ancient columns, a large temple and several mosaics that were once part of a bathhouse. Take a few moments to saunter around Estoi, with it’s beautiful church square and tiny cobbled streets. There are plenty of laid back cafés in which to enjoy a light refreshment and some quiet reflection before you head back down to the Coast and the regional centre of Faro. Whilst it is the capital city of the Algarve, the central area of Faro is really quite compact. An impressive archway leads into the old town, where you will discover cobbled streets, with interesting shops and cafés. An impressive square lined with orange trees is home to a small cathedral; it was built on the site of a mosque and merits a visit to see the beautiful tiles and gilt carved wood inside. If something a little more macabre takes your fancy, Faro is also home to a ‘Church of Bones’, where a whole wall is decorated with skeletons. There is a pedestrianised area, with lots of boutique shops and traditional Portuguese restaurants, and you can have a nightcap on the edge of the small marina, where you can watch the world go by in what is an extremely laid back city. 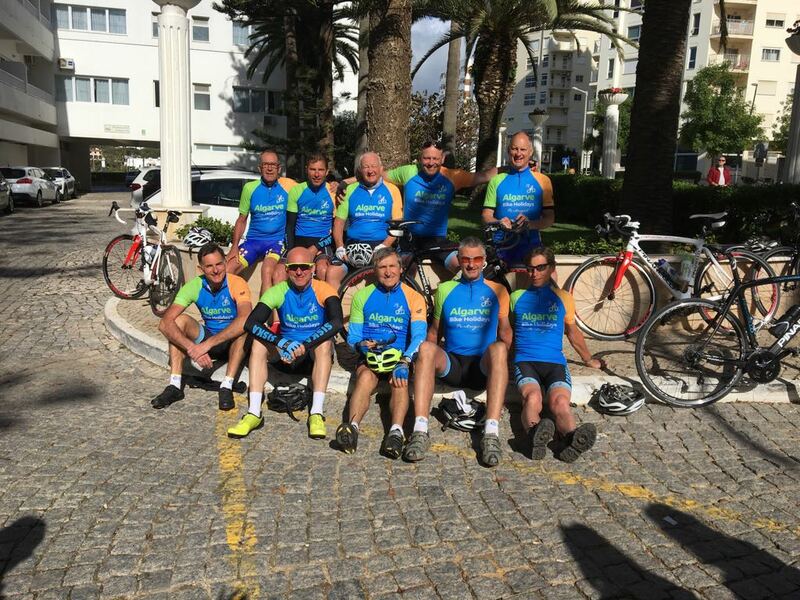 Leaving the centre of Faro you will soon be onto country roads heading inland through quiet villages, small hamlets and working farmland. Before long you will approach the outskirts of Almancil, a busy working town and the furthest point north of what is known as the Golden Triangle (where luxury accommodation and golf courses are in abundance). More interestingly, on the edge of town is São Lourenço Church, with some fine examples of the intricately painted tiles for which Portugal is famous, as well as an impressive golden altar. This Baroque style church is open to visitors, so it’s a good idea to try and time your ride so you can take a quick peek. Your next stop is Loulé, a thriving old market town known for the beautifully restored indoor market, selling fresh regional produce. As you navigate your way through the rolling hills to the north of Loulé, you will want to take a quick detour to the hill-top village of Querença. It’s a short hop up to the beautiful church square, where you can enjoy some local biscuits with your morning coffee. Querença is well known for its agricultural products, just as the rather strong “medronho” (a sort of fruit brandy) and the famous “chouriço” (smoked sausage). In fact they even hold an annual sausage festival, which draws visitors from far and wide. Continuing along quiet, undulating roads to Messines – a typical agricultural town, with narrow streets and yet another church as the centre piece, you will make a turn South and travel through abundant citrus groves towards the bustling coastal resort of Armação de Pêra (named after a Moorish fishing boat). The pleasant sea front promenade leads you to your hotel, overlooking the beautiful, expansive beach. Today you will have a chance to take a rest from cycling. You can simply relax by the pool or on the beach. Alternatively, we have a range of excursions that you can enjoy, from historical and cultural tours, to water sports and boat trips, and much more besides. At the very least you should pay a visit to Nossa Senhora da Rocha (Our Lady of the Rocks) with it’s smaller beach, sheltered from the wind by high cliffs, where fishermen still land with their catch. The church on the cliffs is tiny but perfectly formed and is a popular venue for weddings. Take a stroll to the end and you will not only get a glimpse inside the church but great views along the coast. Refreshed after your day’s rest, you will be ready to tackle today’s challenging ride. After a brief hop along the promenade to the Eastern side of town you will start climbing gradually to Alcantarilha (another village that is famed for its church of bones!). 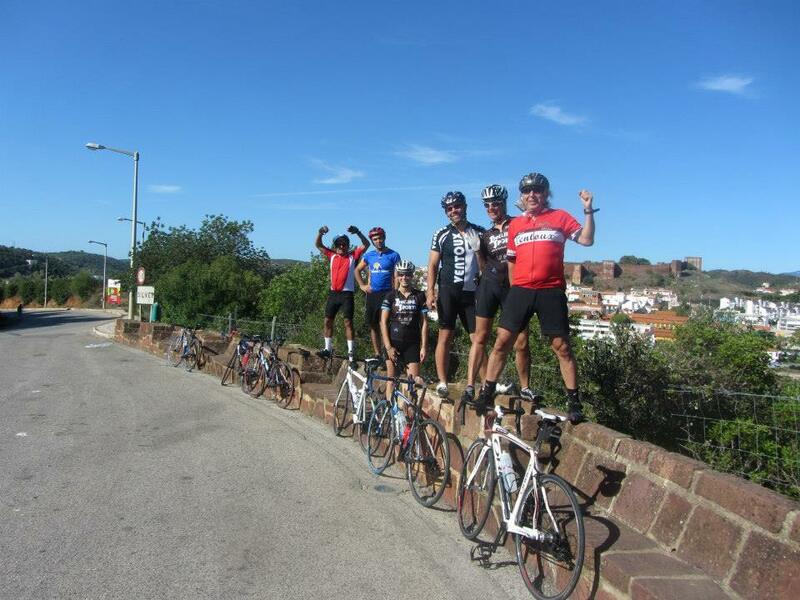 From here you will continue across country to Silves, where you will most certainly want to take a break. An enchanting town on the banks of the Rio Arade, Silves is steeped with history; once the Moorish capital it is home to the best-preserved castle in the Algarve. There are lots of local cafés and restaurants on the front or in the cobbled backstreets, where you can have a leisurely break, so just take your pick. Leaving Silves on the Western side of town, you will make a gradual climb to Monchique, a spa town set amidst pine forests and valleys with freshwater springs. 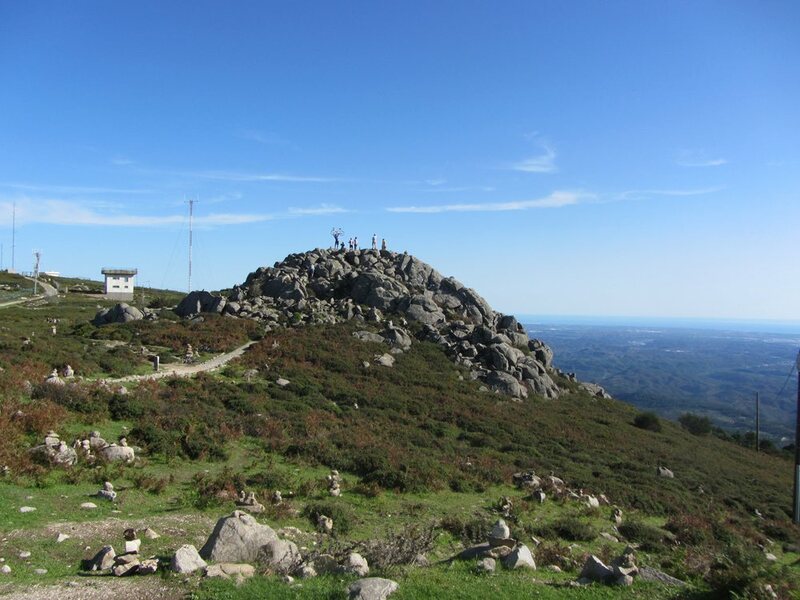 From here you will follow a meandering, yet testing ascent to Foia, the highest peak in the Monchique mountain range. It’s an iconic goal that is attempted by local and pro riders alike but, most importantly, on a clear day, you get the best views across the Algarve right down to the coast. After an exhilarating descent into the foothills, you will head for Lagos, with its famous 4km long Meia Praia beach. It’s a bustling town with lots to offer; from the modern marina and waterfront restaurants, to the lively town square and the maize of cobbled streets within the old city walls, there is plenty to explore. It’s also a great spot to have some lunch. But you will need to be decisive as there are plenty of places to choose from, including traditional local restaurants, tapas bars, cafes and bakeries, plus lots of international options. Many of these are concentrated around the marina, the river and the old town, all of which provide a very pleasant backdrop whilst you enjoy your meal. 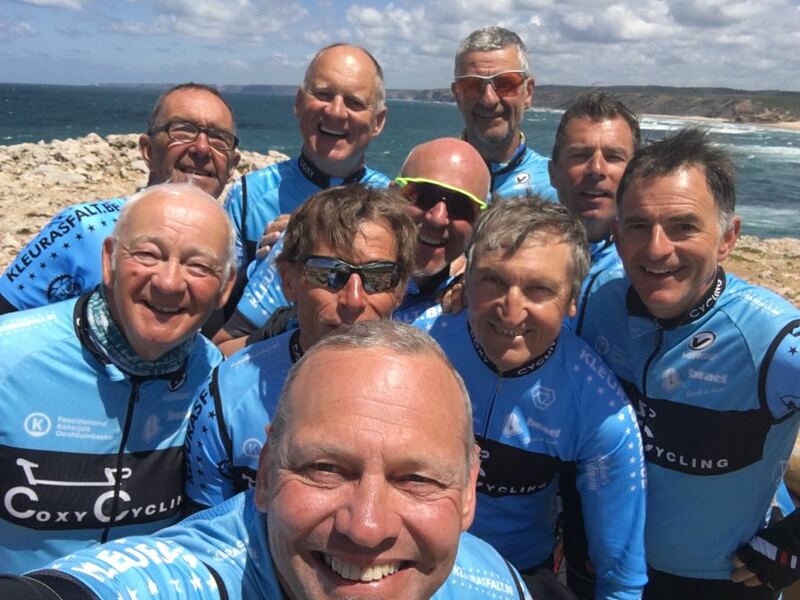 Your final day of cycling provides a total change of scenery as you travel inland to the Bravura reservoir, then tackle the wild and windy West Coast. 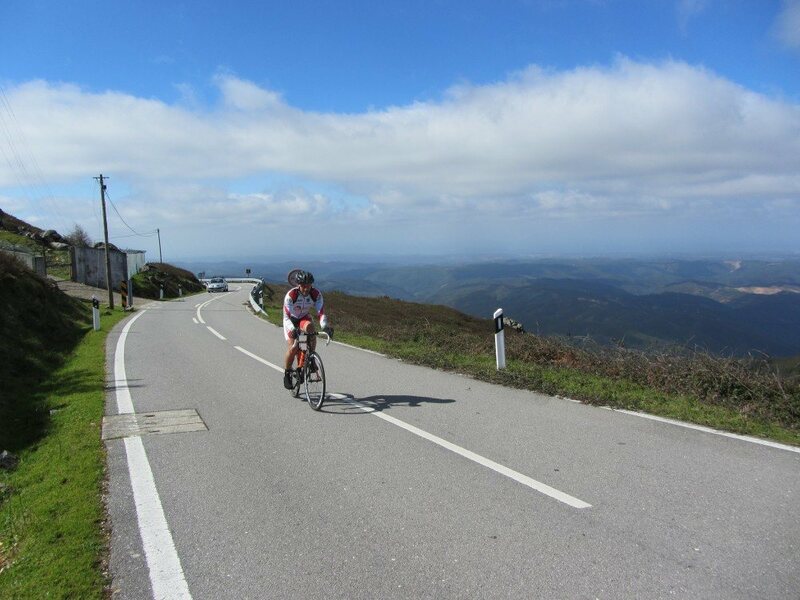 Cutting across country you will enjoy peaceful winding roads, surrounded by farms and forests, leading you through the odd tiny hamlet before heading West towards the Vicentina Natural Park, and the surfers town of Carrapateira, with its famous beach and lagoon. Carrapateira is a village of fisherman and farmers alike and the perfect spot to take a little time out. From the easily accessible peninsula at Pontal da Carrapateira (a circuit of around 5km), you can enjoy dramatic views of the cliffs and crags dropping to the Atlantic and, on a clear day, you should see the Sagres lighthouse in the distance. Whilst to the North you will see the immense Bordeira beach and sand dunes. From here you will continue South towards Sagres, along the main (yet still comparatively traffic-free) road from Vila do Bispo. You will be aware that you are approaching the wild Atlantic Coast as you breathe in the salty sea air and enjoy the bracing winds and natural roughness of the land and seascape that surrounds you. Sagres is a truly tranquil town with beautiful beaches, a picturesque harbour, a very pretty town square and stunning views. It is very popular in summer with visitors, but all year round with fishermen and surfers because of the western Atlantic waters creating such good waves for surfing. It is mostly known as the place where Henry the Navigator brought together great mariners, astronomers, ship-builders and cartographers to build and navigate great ships in the period of the Age of Discoveries. Sagres is also home to Henry’s fortress, which was originally built in the 15th century. Cabo de São Vincente, sometimes referred to as the “edge of the world” is the South Western tip of Europe and the 5km ride along the Sagres peninsula takes you past the Fortaleza do Beliche and on to the lighthouse right at the end of the headland, where you can take your iconic ‘end of trip’ photo and buy souvenirs from the tenacious stallholders that are there year round. We collect you and return you to a quaint hotel, set in a quiet square in the heart of Loule. Loulé is an explorer’s haven, with its narrow cobbled streets leading off the central Avenida, tiny shops and hidden away bars and restaurants. So there is plenty of opportunity to make some last minute purchases before you leave.